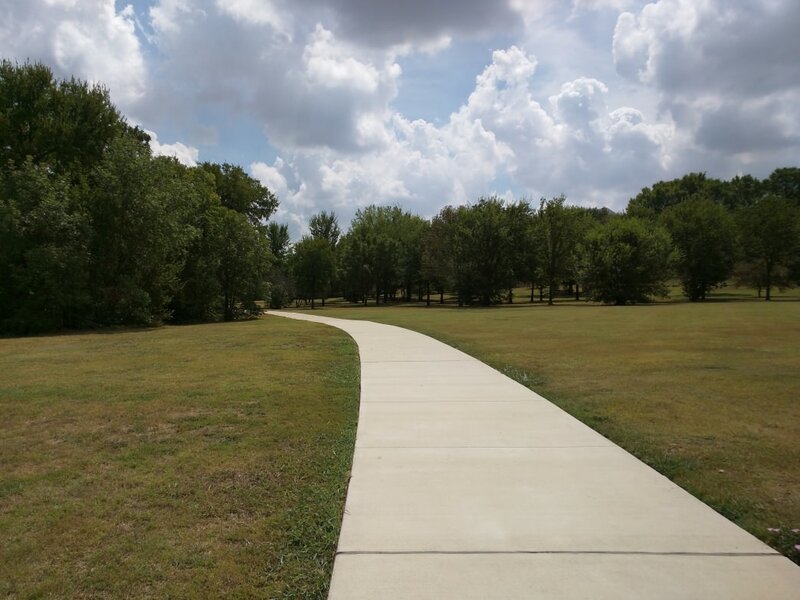 A hidden gem for those wishing to escape the bustle of the city, this park hidden within a residential district offers a very extensive path along hills and wooded areas as well as along a pleasant creek and wide open fields further down the path. Time can be lengthened dramatically by taking the right at the fork, and then continuing to the left side of the fork before turning around and returning to the park entrance. Time can be lengthened further if continuing toward Benbrook Lake. Oakmont Park is on the far west side of Fort Worth, just on the border with Benbrook, west of Hulen Mall. This unassuming park which is hidden in a hilly residential district is known primarily to locals within the neighborhood. This leaves the park usually free of heavy cycling and runner traffic, offering full access to the long series of paved roads that await runners. The park entrance crosses a creek and passes a small playground, weaving around and then deeper into the park. The lush trees and greenery are the most notable feature, with thick lines of trees and wildlife bordering the paved path. The trees hug tightly to the path here, and the occasional armadillo or racoon can be seen passing just off the path at certain times of day. The path continues to a fork in the road. The right path leads north along a creek and deeper into the residential area. The path here is lined by water and backyards. A small waterfall can be found along this path, offering a scenic diversion for those runners who need a break in the shade of a tree to the sound of rushing water. The ambling path passes trees that border the creek, offering a predominantly straight and easy-going path until eventually the trail ends on the far north end of the park, integrating with a sidewalk to the residential district. Runner may simply turn around and head back toward the entrance to create a loop. Those who wish to go left at the fork follow the south end of the creek, impossible to see beyond the very thick lines of trees. Several mountain bike paths can be seen diverging off the paved path into the trees, until the highly wooded area gives way to open fields where horses can be seen grazing at a large ranch. Then, passing through another heavily wooded area, the paved path meanders around until eventually coming upon the Art Cowsen Memorial Trailhead. Oakmont Park is best for runners looking for a relaxed run through a fairly secluded park. Due to the location in the city, fewer people frequent the park, leaving the long and meandering trails largely free of pedestrian traffic except at peak hours around evening and sunset. 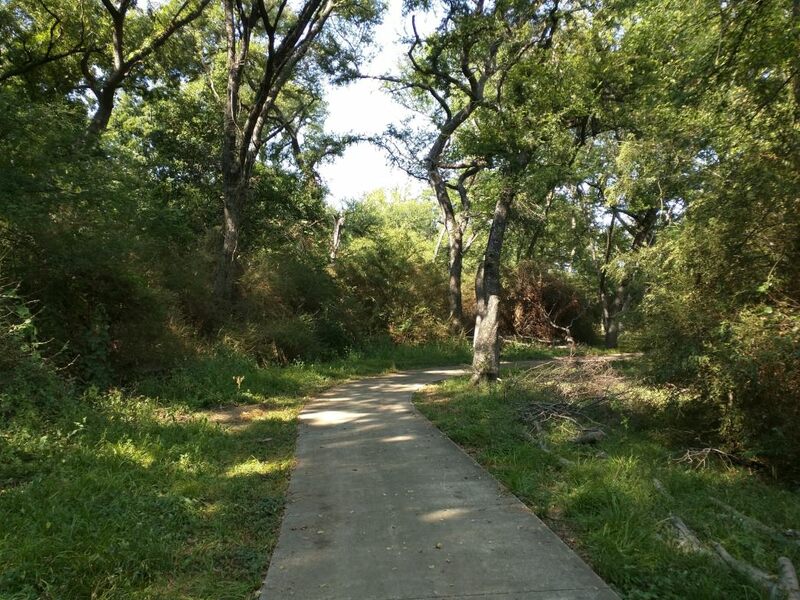 Those seeking a more challenging run may wish for something longer, however, and may wish to continue past the Art Cowsen Trailhead toward Benbrook Lake. From I-20, drivers can take the exit to Bryant Irvin Road. Following this road for several miles, drivers can then take a right on Oakbend Trail at the Mercedes Dealership and the QT. This road leads to Oakmont Blvd, then Bellaire St. Parking for Oakmont park can be found on either end of Bellaire Dr., clearly labeled with signage. There are no fees for parking.